We sell grease fittings in 1/8”, 1/4-28”, 3/16”,1/4”, 3/8”, 6MM, 8MM and 10MM. Many are available in straight, 45 and 90 degree. We also sell many different types of fittings including button head, drive and relief type. 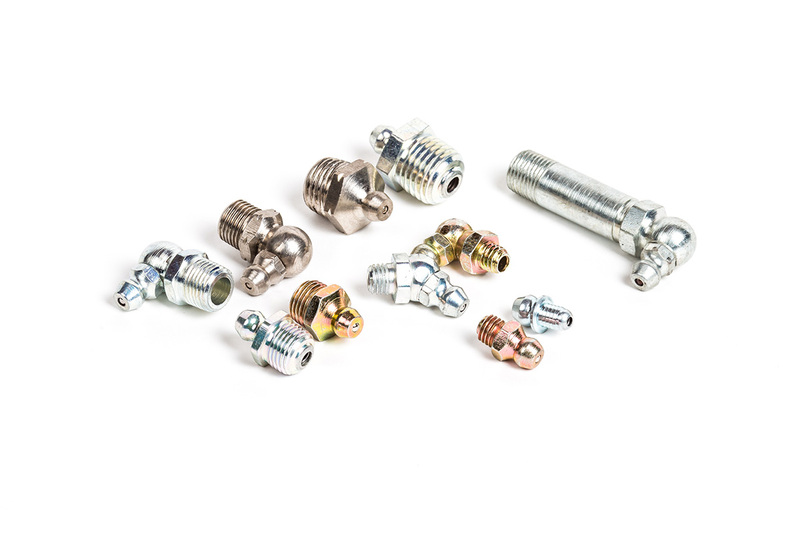 Many of our fittings are also available in stainless steel. Please call or email for information and pricing on our complete line of fittings.